The Arctic Encounter and strategic partners were thrilled to co-host an event for Alaskans and Greenlanders during the 2018 Arctic Circle Assembly in October 2018 in downtown Reykjavik. The Arctic Encounter and Greenland Embassy in Washington, DC aimed to celebrate and support the shared interests and experiences of Alaska and Greenland, and develop new relationships, partnerships, and friendships for the future. 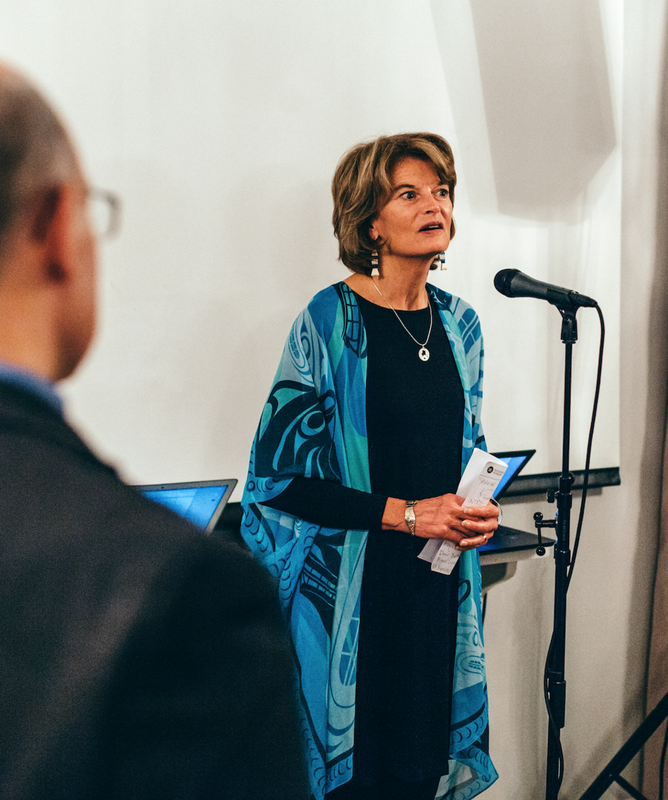 Over 90 attendees gathered at a private event space at Restaurant Reykjavik to connect on shared interests and challenges, debate solutions, and hear remarks from U.S. Senator Lisa Murkowski of Alaska, the Deputy Minister of Foreign Affairs for Greenland, the former President of Iceland, and others. Celebrated youth leader and musical artist, Byron Nicholai of Toksook Bay, Alaska, performed several songs for guests and Alaskan foods were shared. Friends of the Far North: Alaska & Greenland was the first of the Friends of the Far North event series hosted by the Arctic Encounter. The mission of the Arctic Encounter is to convene leaders and experts from every arena to tackle the shared interests and concerns of the United States and the global community as we look north to the Arctic.